Randy Strait didn’t set out to build snow pushers. His business objective wasn’t to design a revolutionary snow pusher. Rather, the invention was born out of necessity. In 1978, he was just a guy with a beat up truck and a makeshift plow, determined to keep his budding snow removal company profitable. But he soon realized if Arctic Snow & Ice Control was ever going to reach his vision for service and success, he needed a competitive edge that would not only increase revenue, but also would reduce his overall expenses. He took everything he knew about conventional snowplows, and their shortcomings, and designed his own pusher. One-piece moldboards were out. Rigid cutting edges were gone. And static side panels became a thing of the past. An innovative concept in pusher design, Randy’s pushers were comprised of smaller, individual moldboard sections equipped with trip edges and mechanical side panels. Complete with steel cutting edges and a patented hitch system – he achieved his competitive edge, and a whole lot more. 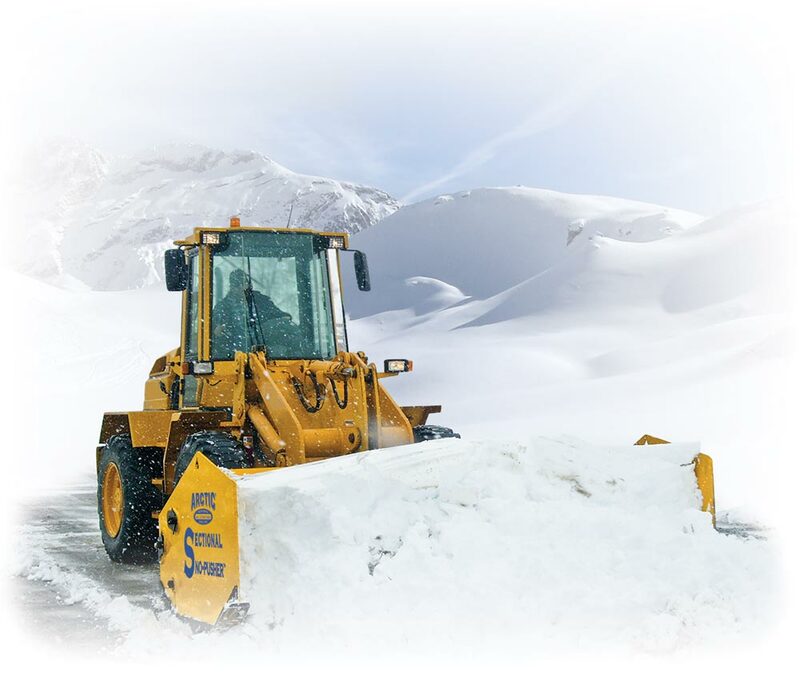 Because the pusher was designed specifically to help build his own snow-removal business, it wasn’t until competitive snow removal contractors approached him, that he even thought about manufacturing the pushers for sale. No stranger to rising fuel costs, salt shortages, and soaring steel prices, Randy recognized the positive impact the pushers had on Arctic Snow and Ice Control’s bottom line and wanted to offer others in the industry the same shot at success. Contractor-developed and contractor-owned, Sectional Sno-Pusher™ was the first of its kind on the market and continues to lead the industry in value, performance and innovation. From scraping up compact snow and ice on the first pass to minimized repair costs to drop-and-go operation, hands down, Sectional Sno-Pusher™ is the best investment your operation will ever make.